Elizabeth Ann Cummings Galbreath (Betty), 80, died November 17 of natural causes in New Smyrna Beach, Florida. She was a first-generation American of Irish immigrant parents, Edward and Elizabeth Cummings, of Boston, Massachusetts. Born into a family of two sets of twins, Betty was the oldest of seven children. Predeceased by her son, Kevin Galbreath, she is survived by her children Patricia, Christopher, Michael, John Galbreath, and Kathleen (Michael) Barnette; nine grandchildren, Shannon, Haley, Ariel, Amber, Taylor, Mary Ann, John Jr., Joseph, and Killian; three great-grandchildren, and her brother Richard. She was a devoted mother and grandmother, a devout Catholic known for her strong faith and devotion to Mary, and she was able to live life fully while overcoming physical limitations. Prior to retirement, she worked at AT&T, CB’s Wholesale Nursery, SNPJ Lodge 603, Sugar Mill Country Club, and the Walmart garden center. She was a past member of the Navy Wives Club, the Legion of Mary, and the Sacred Heart School Board. Betty’s family was her heart. 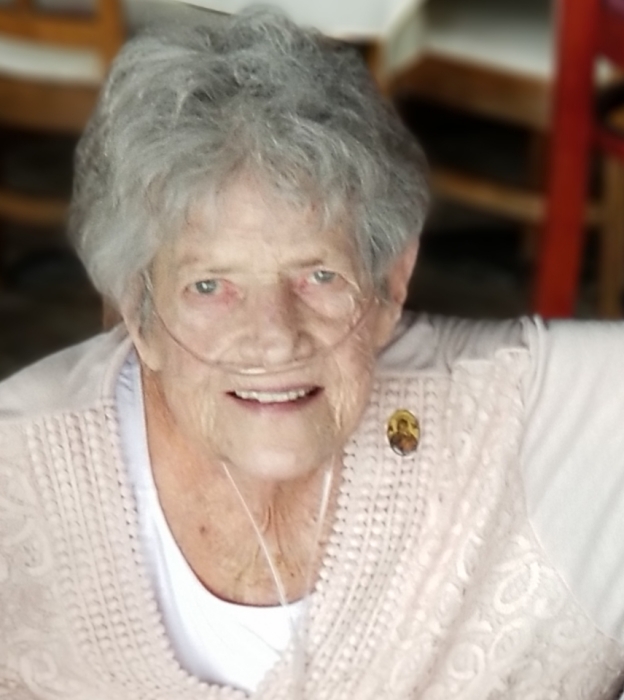 She was known for her sense of humor, and the joy with which she approached life, her love for games, such as cards, Mahjong, and bowling; gardening, decorating for the holidays, and celebrating birthdays. She was well known as an avid Saturday Night Live fan and optimistic lottery player. She grew to be a great fan of baseball, football, and hockey. She was always ready to help those in need and was a passionate advocate for children. She was married to Christopher Westall Galbreath, Jr.
Visitation will be on Thursday, November 29th from 5:00 to 7:00 p.m. at Settle Wilder Funeral Home followed by a brief service at 7:00 p.m. A funeral mass will be held on Friday, November 30th at 1:00 p.m. at Sacred Heart Church. Burial at Sea Pines Memorial Gardens will immediately follow the burial service. In lieu of flowers, donations can be made in Betty’s name to Sacred Heart School, 1003 Turnbull St., New Smyrna Beach, FL 32168 or Father Cedric’s ‘Live with Passion’ Ministries at https://www.tbn.org/give/donate.